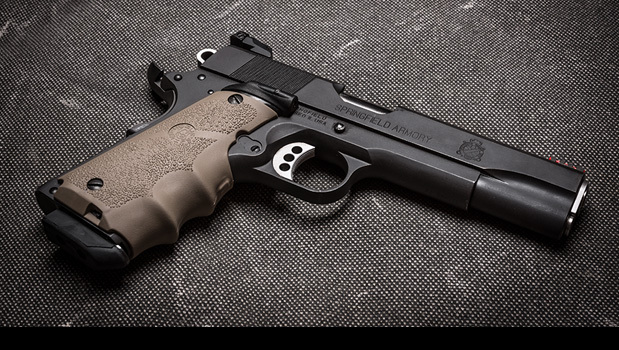 Want immediate gains in your confidence when handling your 1911? Follow the red dot! Hogue's new laser-enhanced grip for your classic 1911 will dramatically improve your accuracy and speed in any defensive or competitive scenario. Designed, engineered and hand-made in America, proudly wearing the Hogue name, your new LE Grip will make almost every kind of shooter - including you - better and faster. Period. Models 30 - 34, 36 - 39, 43, 51, 60, 63, 326, 442, 640, 649 - 651, 940, Centennial, Chief Special, etc.